Call (910) 341-7570 24 hours a day 7 days a week with questions about your injury claim. 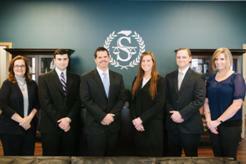 Wilmington Personal Injury lawyers at Speaks Law Firm are available to answer your questions. We will answer questions about your accident or injury claim free. There is no obligation. If you want us to represent you, we may be able to do that. If we do, there is no fee unless we win. Click on this link to find out what lawyers mean when they say "No Fee Unless We Win!" We help good people who were in accidents recover money for their injuries. We make sure they are treated fairly under the law. We are nationally recognized for our Experience, Professionalism and Results. 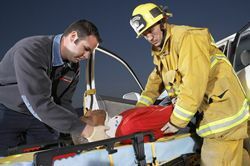 We help people who were in Car Accidents, Workplace accidents and other accident? You can call Speaks Law Firm 24/7 at (910) 341-7570 to speak with someone about your questions. In addition, you can chat with us online anytime [bottom right]. Or, fill out the "Get Help Now" form 24/7 [to the right] for answers to your questions. Also, you can call for your copy of the book I wrote for people injured in Auto Accidents in North Carolina. It is comprehensive and explains the complex claims process in detail. The North Carolina Auto Injury Book, Including 20 Secrets to Maximize Your Claim is available at Amazon.com or yours FREE (Valued at $16.95) if you download it now by clicking on the Free Offer tab (right). In addition, this site has hundreds of articles that are written by me for people like you facing the challenges that result from auto, work or other accidents. Call (910) 341-7570] 24/7 to schedule a FREE phone or in-person consultation about your injury case. There is no obligation to hire us. Get answers and information and then decide. Dealing with insurance companies can be confusing and frustrating, especially when you did not cause the accident. Adjusters may acknowledge that the accident was the other guy's fault. They may say, "Our insurance company accepts liability". They may say, "Please sign these medical releases, and send us the medical bills so that we can send you a check." That sounds like the problem is solved. You are done. You can rest easy. But, how much will they pay? What if there are future medical bills? Should your health insurance be involved? Will there be a lien against the proceeds and for how much? What are you legally obligated to do because of that lien? Is that lien negotiable? How much will you have to pay back? How much will YOU receive? Do you have to pay taxes on the money you receive? These are just some of the questions that arise in all accident claims-large and small. It is important to get accurate information about your rights and responsibilities in these situations. The insurance adjuster is under no obligation to inform you of this important information. She has knowledge, training and experience that you don't have. She handles these claims every day. Her job is to save the insurance company money. 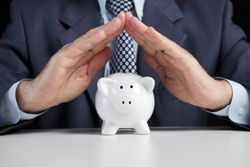 All companies do two things: Maximize profits and minimize expenses. You are an expense. Don't be minimized. You can learn what to do and NOT to do by calling now. During your conversations with an insurance adjuster, he may ask questions that are specifically designed to get you to say something harmful to your case. She may offer you a quick settlement. Be very careful in you communications with these adjusters. A team of lawyers may analyze your responses later. I have been on that team. What if you make a statement that destroys your case? Sometimes bad things happen when you make statements to an adjuster without a lawyer. If you have already spoken to the adjuster, call us to see if you made a mistake. We may be able to fix it and get your claim back on track. Insurance adjusters aren’t necessarily bad people. However, insurance adjusters work for the insurance company, not for you. It is the job of an insurance adjuster to settle claims favorably for their employers. They do that by finding ways to pay you less and save their employers money. They are not required to inform you of your legal rights. They will tell you that they cannot give legal advice and then watch in silence as you make mistakes that can cost you thousands of dollars. After an accident, you have a lot to think about. Your recovery, your injuries and your finances are among the first considerations.We can help with each of these issues in different ways. We may be able to provide medical referrals, secure medical services (even if you do not have health insurance), and ensure fair compensation by setting up your claim correctly right from the very beginning. Remember, delays in medical treatment, follow-up investigation or claim reporting can destroy or undermine the value of your claim. What is the Best Decision I can Make after a Accident or Injury? It is important that you speak with the right injury lawyer now. You may not need a lawyer. You do need information, and you can get that at the free by call us now at (910) 341-7570. You are not obligated to sign anything. You can just gather information so that you can make good decisions about your claim going forward. You can decide later. Just remember, there are some things that will happen very early in these situations that will greatly affect the outcome. 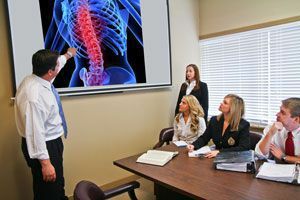 In addition, your injuries must be properly diagnosed, documented, and treated from the very beginning in order for your claim to be successful. Call the Personal Injury Attorneys at Speaks Law Firm for answers to your specific questions.